How do we synthesize the climate science we have, identify the vulnerabilities of local ecosystems to climate change, and develop adaptation options for terrestrial and freshwater ecosystems of Hawai‘i? The goal of this project is to develop science-based syntheses of climate impacts on, and adaptation options for, terrestrial and freshwater resources on each of the main Hawaiian Islands. 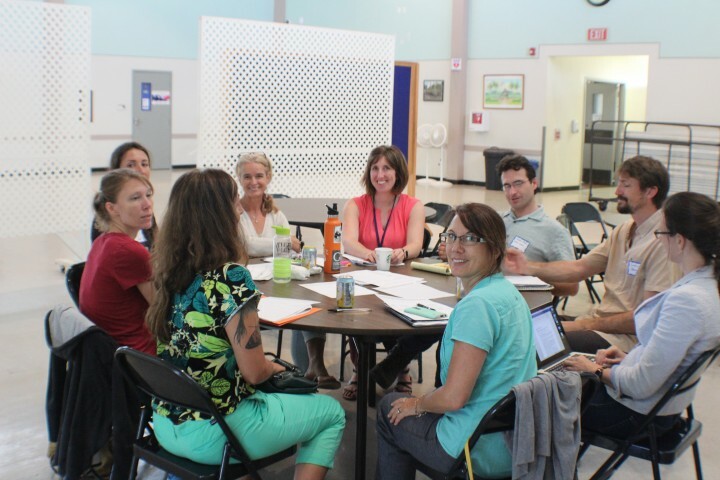 This project brings together Hawaiʻi’s resource managers and conservation planners to discuss these challenges, share knowledge, identify needs, and prioritize key actions to reduce the vulnerability of resources to climate change. Through interviews, literature reviews, expert elicitation, vulnerability mapping, and on-island workshops, this project will provide information that will improve understanding of and capacity to reduce the effects of climate change on key resources; identify opportunities for minimizing climate-related losses through management and collaboration; and create products to facilitate decision-making by land managers. in partnership with the non-profit organization, EcoAdapt.